Rambert, Britain’s national dance company invites arts practitioners and healthcare professionals to Perpetual Movement symposium, a day of workshops, panel discussions and practical sessions, with opportunities to share and discuss experiences, learning and insight around dance in healthcare. It will take place on Friday 24 November, 9am – 5pm. 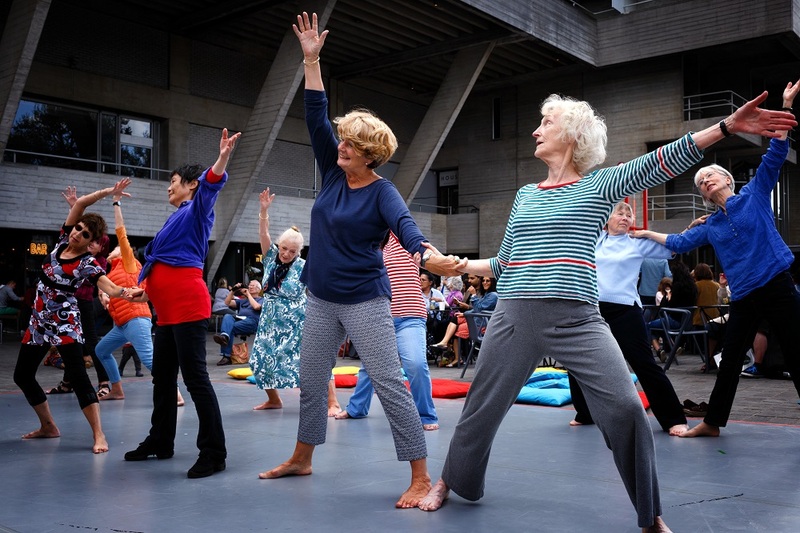 This marks the conclusion of a 3 year programme run by Rambert and supported by City Bridge Trust exploring the therapeutic and well-being benefits of dance in a variety of healthcare contexts – from regular dance classes for people living with Parkinson’s or dementia, to working with patients in hospitals and day centres. “I am incredibly excited to create this opportunity for the medical and arts industries to come together and develop the discussion around dance in healthcare. There are enormous physical benefits to be gained from dance, but if we want to progress its use by health practitioners it is vital to hear from both sides of the practice in the same forum. “At Rambert we provide our Dance in Health programmes at no cost to the participant. We have enjoyed successful partnerships with NHS hospitals in London, but this activity relies on private funding.